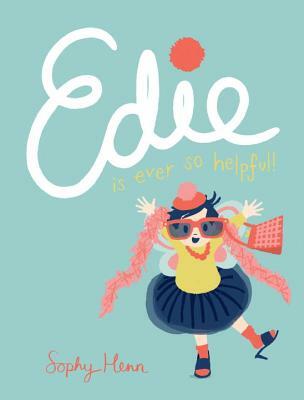 Edie is a funny, well-intentioned force of nature who leaves a trail of damage wherever she goes. Olivia meets Fancy Nancy. Sophy Henn (www.sophyhenn.com) lives and works in Sussex, England. She studied Fashion at Central Saint Martins, accidentally had a London based career as an Art Director in advertising, then completed an MA at University of Brighton in Illustration. Now she writes and illustrates children's books in her studio, with a large cup of tea by her side, and can't quite believe her luck. She is also the author/illustrator of Pass It On, Where Bear? and the Pom Pom Panda series. Follow her on Twitter @sophyhenn.